A great item to keep you cool during the hot days of summer. 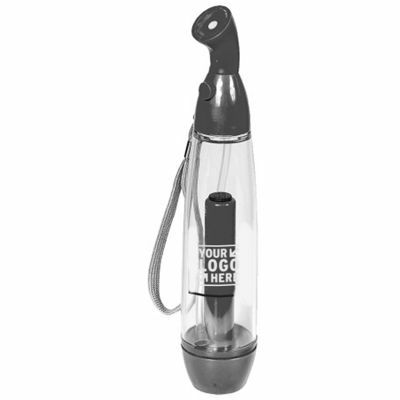 The spray mister is a great way to cool off on those hot summer days. With a carrying capacity of 2.5 oz, this mister pump will easily last through the duration of a long hike, day at the beach, or a long day at a sport game/ event. With the easy to use hand pump pressurizer, along with one push of a button, you will feel an instant cooling sensation. This product comes individually boxed in an assortment of colors (may vary, cannot choose individual colors). This item is great for sport handouts and events. You could also give this to your friends, kids, or grandkids if they do outdoor activities.